The last few days we've been studying the resurrection of Jesus as history. Of course, the resurrection is the most compelling evidence we have to show that it is the Christian God to whom we refer when we speak of God's existence. It validates Jesus' teaching and His claims of deity. We've already shown how the resurrection accounts read more like history than myth, and how the written accounts are so close to the proximity of the events they record that any myths or legends creeping into them is highly improbable. Today, I'd like to more closely examine the idea of eyewitness testimony and how it also supports the resurrection as a matter of historic fact. The four gospels are believed to be written by eyewitnesses of Jesus' ministry, death, and resurrection (Matthew and John) or by people who spoke directly with eyewitnesses (Mark and Luke). The gospels themselves contain reports of Jesus appearing to many different people in the forty days after He was raised from the dead. Some skeptics believe that the gospel writers fabricated the resurrection in order to help them establish their new religion. Others claim that the witnesses were suffering from some type of mass-hysteria or communal hallucination. But a careful study of the gospels shows why these theories don't make sense. Because the gospels were written approximately 30 to 50 years after the events they record, many of the people who are offered as witnesses to the resurrection were still alive when they were circulated. This means that as people heard or read about the resurrection, they weren't left to "just take the matter by faith." Anyone who had reason to doubt the resurrection could ask the witnesses themselves if the events recorded in the gospels were true. Because the many different witnesses were available to corroborate the testimony of the gospels, any hallucination or wishful thinking would be quickly pointed out and the claims made by the apostles would be dismissed. Now, because the testimonies by Jesus' disciples agree doesn't make that testimony unimpeachable. It doesn't rule out the idea of a conspiracy to lie about the resurrection. However there exists an even more compelling argument that answers this objection - the existence of hostile witnesses. Because Christianity represented a danger to the power structures of the Sanhedrin, the leaders and chief priests did everything they could to extinguish this new movement within Judaism. They were vehement in stopping the apostles from spreading tales of the resurrection. They beat and imprisoned Peter and John and stoned Steven to death. However, the easiest way to quash this new religious movement would have been to demonstrate that the apostles were lying when they claimed that Jesus rose from the dead - by producing a corpse! The Sanhedrin could easily counter the testimony of the eyewitnesses by saying "Look, you know that we took the body and put it in a potter's grave" or "here is the tomb where Jesus' body lies." They said nothing of the kind. They admitted that His body was no longer in the tomb when they created the story of the apostles' stealing it. (There are many reasons why this is implausible which we will cover in an upcoming post.) By claiming that Jesus' body was stolen they corroborate the fact that Jesus' tomb was indeed empty. In fact, any discrepancy or inaccuracy from Jesus' disciples would have been immediately exploited by the Jewish leaders of the day as proof that the tales told by the believers were false. Considering that not only were these leaders intimately involved with the crucifixion and its resulting events, but they had every opportunity to counter the claims of Jesus' followers and offered nothing tangible in their defense, the truth of the resurrection is compelling. The last group of witnesses we will examine are the multitudes in Jerusalem. Jesus attracted many disciples, most of whom did not continue to follow Him after His death. He also was known by many more of the general public. His crucifixion, a public execution before a high feast-day, would have been a very visible spectacle. If the disciples were playing fast and loose with the truth, the people they were preaching to would have objected, knowing that their tale was fictional. However in Acts 2:22 we see something completely different. The disciples appealed to the knowledge of the crowd in order to support their claims of resurrection. Peter used the phrase "as you yourselves know" when speaking at Pentecost. He knew what he was saying was true and the facts were on his side. Even more telling was that the people listening responded to his claims by being "pricked in their hearts" and repenting, not by contradicting them. Last time we studied how the resurrection accounts read like history. But another reason to believe in the resurrection of Christ is how close the records we have were to the actual events they record. In the game of telephone, a message is told from person to person until it eventually becomes unrecognizable to its initiator. There is less chance the message has been corrupted the closer a person is to the originator. 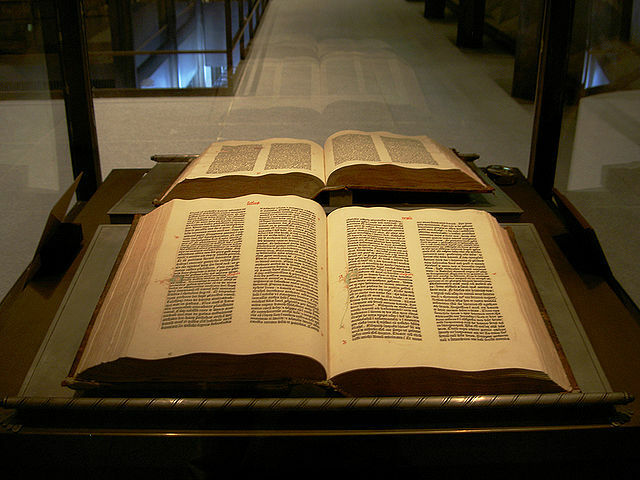 This is one of the ways scholars studying ancient historical events judge a record's accuracy. Most conservative scholars date the Gospel accounts of Jesus' death and resurrection from between A.D. 50 to A.D. 80. If we are to assume Jesus died somewhere near 30 A.D., then these historical records would be between 20 to 50 years after the events they record. 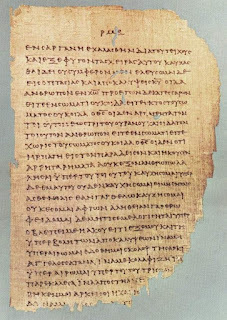 Not only are these dates very close to the actual events by historical standards, but that also implies that the Gospels were circulated when the apostles were still alive to be questioned by skeptics and detractors. Now there are other scholars who would prefer a late dating of the Gospels, from the middle of the first century to perhaps as late as the beginning of the second. But late-dating the Gospels doesn't put the historicity of the resurrection in doubt, because a record exists that is older still than any of the Gospel accounts. In 1 Corinthians 15 verses 3-8 the Apostle Paul writes "For I delivered unto you as of first importance that which I also received, that Christ died for our sins according to the Scriptures, and that He appeared to Cephas then to the twelve. After that He appeared to more than five hundred brethren at one time... then He appeared to James, then to all the apostles, and last of all, as one untimely born, He appeared to me also." 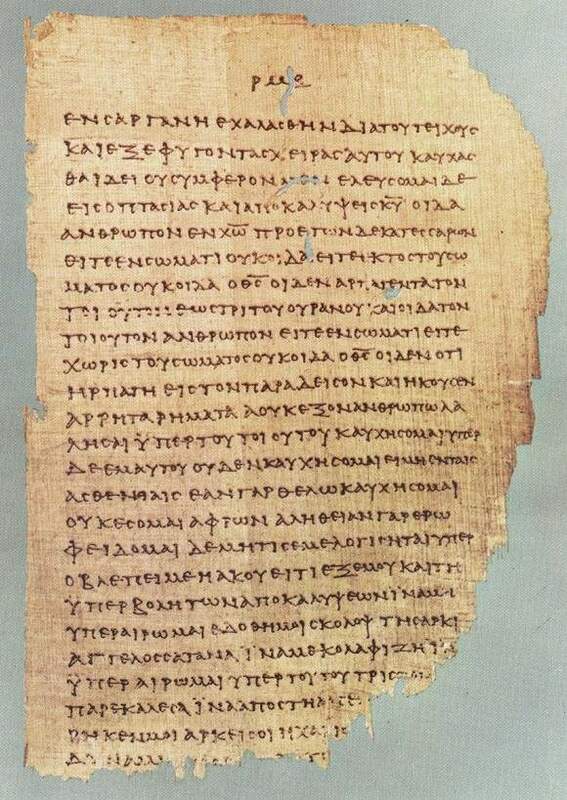 Nearly all scholars, those both sympathetic to Christianity and skeptical of it, believe that First Corinthians was written by Paul and was written about 55 or 56. However, scholarship also shows that the above passage is considered an ancient tradition that Paul received from others in the early church when he first became a convert to Christianity. This means that the passage in 1 Corinthians 15 dates from somewhere between two to eight years after Jesus' death! That early dating means that it is virtually impossible for the resurrection account to be a myth that gradually grew into the church tradition. It had to be accounts from eyewitnesses who saw the events themselves, otherwise too many people would be around to contradict the events in question. For a modern day example to this, think of someone telling you that John F. Kennedy didn't die in November of 1963. He is still alive and in hiding because the CIA wanted to remove him from office. The government made the whole assassination up for their benefit. The problem with such a story is that there are too many people still alive who remember the event and can contradict your assertion. The more we study the documents testifying to the resurrection of Jesus, the more we can understand why it is called "the most well-attested fact of ancient history." I hope these discussions bolster your faith in Christ and Him being raised from the dead. Comment below and let us know what you think! The resurrection of Christ is the cornerstone of the Christian faith. If it really happened, then it affects your entire worldview. If Jesus really rose from the dead it means He had power that no one else had. And since He claimed to be God's Son, then it means there really is a God. And if there really is a God - the type of God Jesus talked about - then we will really be held accountable for our actions in this life. You can see why the resurrection is such a target to the skeptic. If he cannot dismiss this event, then all that follows makes him accountable to God. He must find a way to reject its truth. 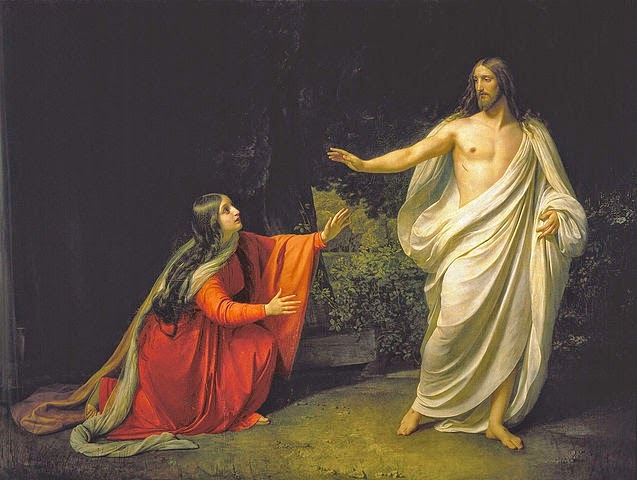 The most common way people reject the resurrection is to say that it was a myth created by disciples who wanted to give their new religion credence. If you've ever read any of the Iliad or the Odyssey, you'll be familiar with myth. The ancient Greeks used myth as a way of explaining the world around them and getting some type of understanding. However, when one reads the New Testament accounts of the resurrection, a careful reader should pick up on something else - these accounts aren't written like myths but like historical reports to an actual event. There are numerous passing comments and inferences that, unless they really happened, make no sense for a writer to invent. Things such as all the disciples abandoning Jesus when He was arrested, James and John's mother asking for her sons' favor from the Lord, and the women at the tomb. This last idea is very compelling, as women were looked down upon drastically in this society. Women were considered more property than persons, with any excuse serving as grounds for divorce and their testimony wasn't considered solely reliable in a Jewish court of law. "I have been used for many years to study the histories of other times, and to examine and weigh the evidence of those who have written about them, and I know of no one fact in the history of mankind which is proved by better and fuller evidence of every sort, to the understanding of a fair inquirer, than the great sign which God hath given us that Christ died and rose again from the dead." Now, most Biblical scholars, whether conservative or liberal, agree that Jesus did really live and He really was crucified. Most liberal scholars, however, doubt the resurrection as history. But any explanation that liberal scholarship offers to explain away the resurrection must be manufactured out of thin air. This is because there is no evidence of any kind that can be offered to counter the resurrection story! So, if we are to make judgments about historical reliability, an honest approach would be to base the claims on the evidence that exists. To manufacture a counter story because you want to disprove the evidence is faulty logic. The resurrection accounts are the best evidence we have as to what happened to Jesus Christ on Sunday morning. This is one part of the proof that Jesus rose from the dead and because of that we know God exists. Next time we'll look at how the proximity of the recorded accounts to the events themselves lends even more credence to our argument. God bless until then.